I've learned to get to P6. What do I do now? 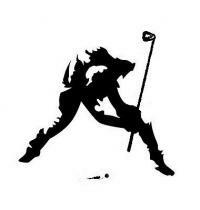 My golf addiction started about 5 years or so ago. I've taken lessons and I've watched countless hours of online instruction (Monte, Waldron, GG, Dahlquist, Top Speed). I know I don't swing the club the 'correct' way. Need to set the wrists earlier. I early extend and pull down on the club and my impact position isn't great. Don't get full extension on my follow through, left arm folds. But for the past 2 years I gave up in the search for the perfect swing and have managed to play decently with what I've got. I get decent yardages (260-275 avg driver, 170 avg 7i) and shoot in the mid 80's on good days and mid 90's on bad days. My typical shot is a draw and misses are pulls. My frustrations with inconsistencies in ball striking have led me back here. I know I have an arm based swing and I'm now determined to finally figure out the 'correct' way to swing the club. I know the 'correct' way is to get the club into the slot and rotate through the ball around my pivot. 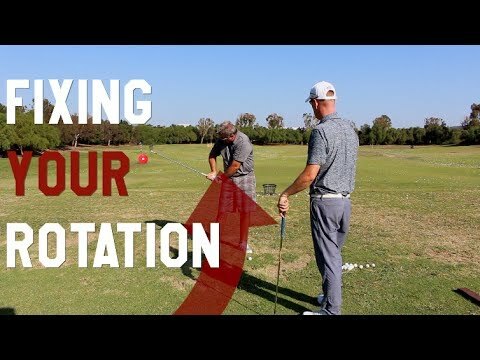 I've been rewatching Monte's and Waldron's videos, and have been working hard at slowly changing my swing at home by doing slow motion reps at home every night. I think I've finally figured out how to get into a good position at P6, which was a huge milestone for me. But here is where I'm currently lost. I'm not sure how to get the club to the ball from P6 with power and what to do with the arms after I get to the ball. Feels very awkward. I know I'm supposed to just rotate my body and the left forearm to square the club. But it feels very awkward when I do it in slow motion and I don't make good contact or feel power when I start from P6 at the range. What should I feel firing/rotating through the ball from P6? Shoulders? Torso? Lower body? Are the arms still passive at this point or should I be firing or guiding? After impact, do the arms keep rotating? If so, when do they stop rotating? Thanks in advance for any advice and taking the time to read. I'm going to guess a good portion of what happens after 6 is determined by what happens from 3.75 to 6, plus setup. There's only so much you can control from 6. This. You’re moving too fast to be able to make adjustments from P6 to P7. While I think it’s important to know where you are, you aren’t actually moving from P to P in your golf swing. You’re dynamically passing through it, and certainly in the case of P6-P7 those dynamics are the result of what happened previously. This. You're moving too fast to be able to make adjustments from P6 to P7. While I think it's important to know where you are, you aren't actually moving from P to P in your golf swing. You're dynamically passing through it, and certainly in the case of P6-P7 those dynamics are the result of what happened previously. Here at 8:15 Monte talks about getting the left arm off the chest to get to a good P6 (his other "right elbow to belly button" swing thought worked better for me). And then he says to just pivot through the ball which is unclear to me. I guess my thinking was if I can't do it in slow motion I definitely won't be able to implement it in full speed? Sorry, that is not a good p6 at all. Your backswing is so bad you can’t get into a good p6. Your too flat on the way back and steepen the club on the way down until about p5 they you early extend like a mad man to get the club shallowing. You have to work on your backswing. I agree that your backswing needs to be more upright. Just curious, is that the Palisades park golf range? That P6 needs some work. Arms and body out of position. Fair point. Ideally, if you can have the arms trailing, square-ish face, you can continue pivoting into P7. That said, if your face is open or the shaft is steep, your brain isn’t going to let you pivot. You’re forced into a stall and throw situation so you can shallow out the strike. So for you, trying to rotate from where you are at P6 isn’t an option. I get my post is a little long but I'll clarify that swing is before what I've been working on. Yes, I know my backswing needs to be steeper and wrists set earlier. I hope you don’t take this the wrong way, but your focus is WAY off. I realize it’s easy to be critical, however, I’m not offering criticism of you golf swing. Honestly, I did not even look at your swing. Irrelevant really, as nothing good will ever come from focusing on P6. . . . let alone focusing on the golf swing (motion) at all. It’s almost universal in sport that an important objective is maximize time and space. 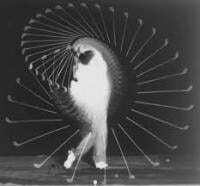 As this pertains to the golf swing, the ultimate way to achieve both is maximize time and space to target. If your target is the target, then you free yourself up to let things unfold exponentially - as compared to making the ball your target. If you are thinking about a position literally tenths-to-hundredths of a second before impact - and what to do at that position - your chase down the rabbit hole will be bottomless. I'm glad someone else asked this question, because I have the same problem of not really knowing how to swing, and pretty much have the same question. Maybe the question really needs to be more "how to I get the club to/through the ball from the top", knowing that you have to pass through P6. Right there is all the info you need boys. Lock it up! Or better yet... what are keys needed for a proper backswing that will allow for proper sequencing of downswing to meet objectives OP is trying to accomplish here. I've learned to get to P6. You haven't. You basically have a "death move". 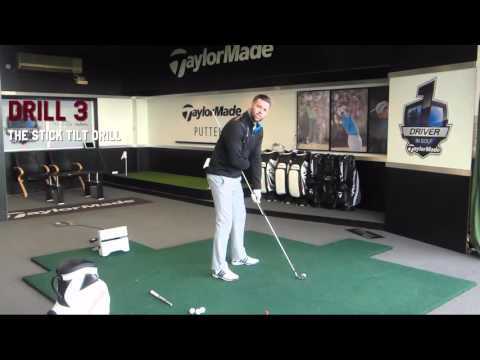 Learn on how to take away the club correctly based on your inside takeaway flaw to P3. Here is a video to help you. First things first and so surprised no-one has mentioned this, your alignment is all over the place. Just taking the three wood video: eye-line in one direction, about fifty metres left of where your feet are aiming, clubhead looks like somewhere between the two, shoulders about forty-fifty metres left of your feet, camera pointing where it looks like the ball is aiming - at one of the fence posts fifty metres dead right of where the ball launches. So basically you’re sending the ball somewhat square to your shoulders and eyes. If you use your feet as a reference point on the course and line up properly, those times you do get your foot alignment accurate, if your shoulders maintain the same relationship you are giving yourself a really good chance of pulling it way left. 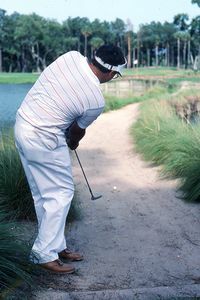 With driver snap hooks or massive, shirt high balls or weak slices if you quit on the shot. You’re standing in a square mat, use it to your advantage to get your alignment sorted, square everything up firstly. And then shoot a video with the camera lens at hand height and hand depth from the target line and looking at parallel left to your target. One could say ‘just rotate’ for example, from your p6 but that could be the worst advice ever given the bad camera angle and alignment. Square everything up and then you have a baseline to work from - swing issues, physical issues, everything.